Serves 10 People. 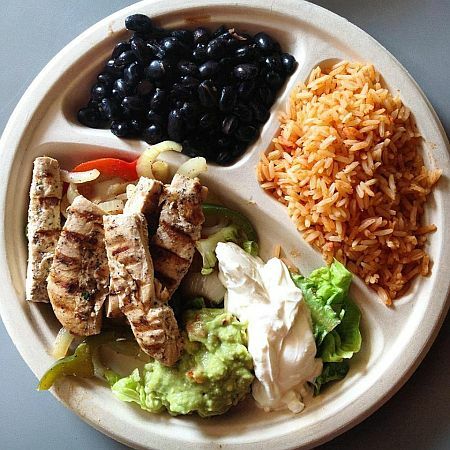 This customized fajita meal includes grilled peppers, chiles, onions, rice, black or pinto beans, handmade guacamole, cheese, onions & cilantro, sour cream and flour or corn tortillas.Comes with a Baja Ensalada, chips and salsas. Serves 5. 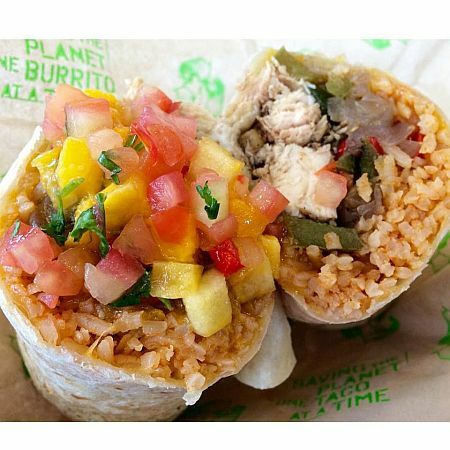 5 Baja burritos cut in half with your choice of chicken or carnitas or steak (additional charge). 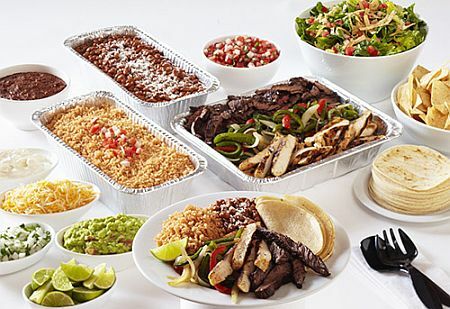 Every party pack comes with chips, salsa and your choice of salad or rice & beans. Choice of meat with grilled veggies, rice, black or pinto beans, guacamole, Pico de Gallo, sour cream and corn or flour tortillas. Served with tortilla chips. A spicy 8oz., three pepper, cheese dip mixed with our own Salsa Roja. Served warm with our fresh made tortilla chips. Serves 5 people. 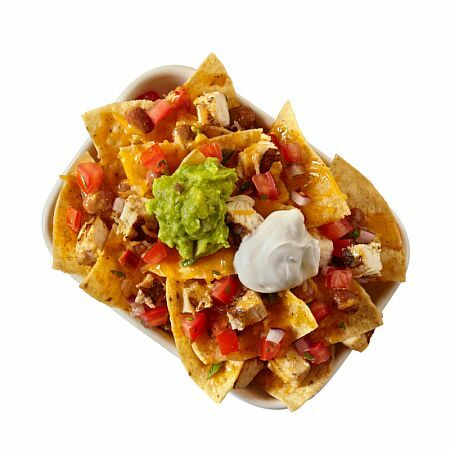 25 pieces served with a generous side of guacamole and sour cream. 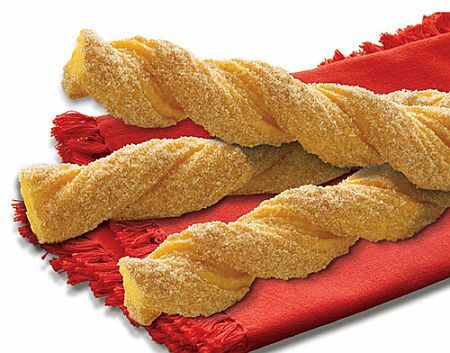 Available with cheese, chicken or steak. Every Party Pack comes with chips, 2 salsas and your choice of Baja ensalada or Baja rice and beans. Black or pinto beans, rice, cilantro and onions and your choice of salsa and meat. Melted Jack cheese, guacamole, Pico de Gallo and your choice of meat. Grilled veggies, Jack & Cheddar cheese, Salsa Baja™, rice, sour cream and your choice of meat. Black beans, Baja rice, Jack cheese and spicy Chipotle sauce and your choice of meat. Spicy! Chicken, Jack & Cheddar cheese, black & pinto beans, rice, Smokey Queso Fundido, jalapenos, crunchy tortilla strips and Salsa Crema. Grilled peppers, chilies & onions, black or pinto beans, Jack & Cheddar cheese, lettuce, Pico de Gallo and sour cream. Any combination of 2 original Baja or Americano soft tacos. Served with rice and black or pinto beans. Four corn tortillas filled with chicken, grilled onions and cheese. Topped with salsa crema and served with guacamole, sour cream, Pico de Gallo and Smoky Queso Fundido for dipping. Grilled flour tortilla with lettuce, chopped tomato, Jack & Cheddar cheese and salsa. Fire-Grilled Wahoo, avocado, cabbage, pico de gallo and avocado salsa. 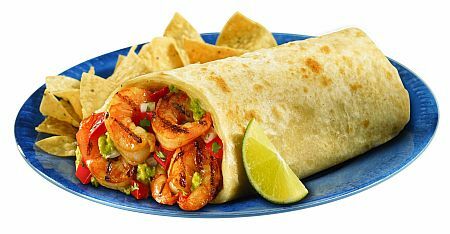 Fire-Grilled Shrimp, avocado, cabbage, pico de gallo and avocado salsa. 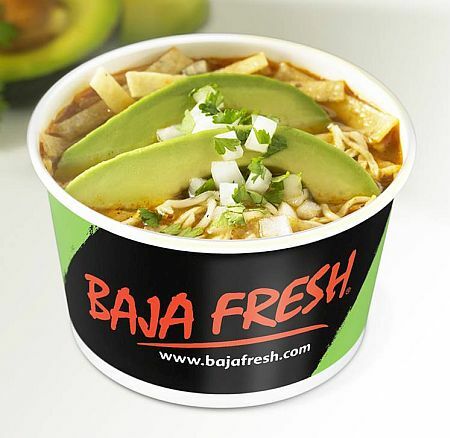 Roasted tomato & tortilla soup with chicken, avocado, Jack cheese, onions, cilantro and tortilla strips. Served with rice and applesauce. No beverage for delivery. Black or pinto beans with Jack & Cheddar cheese. Romaine lettuce, sliced tomatoes, Cotija cheese, Pico de Gallo & tortilla strips. Served with choice of dressing. Crispy flour tortilla shell filled with Romaine lettuce, tomato, black or pinto beans, guacamole, cheese, Pico de Gallo & sour cream. Serves five people. 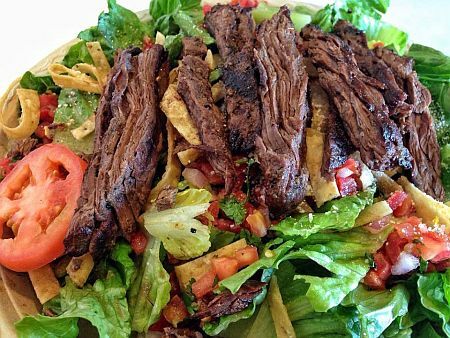 Romaine lettuce, fire-grilled chicken or steak, sliced tomatoes, Cotija cheese, pico de gallo and tortilla strips. Comes with chips and 2 salsas. 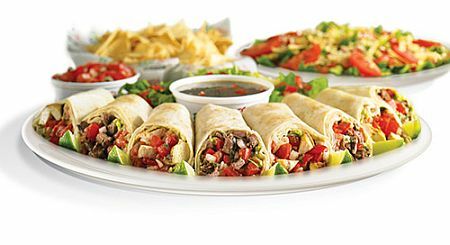 Individual crispy flour tortilla shells filled with romaine lettuce, fire-grilled chicken or steak, tomato, black or pinto beans, guacamole, cheese, pico de gallo and sour cream. Comes with chips and 2 salsas. Serves 5 people. 20 taquitos. Crispy corn tortillas filled with chicken, grilled onions and cheese. No longer made with steak. 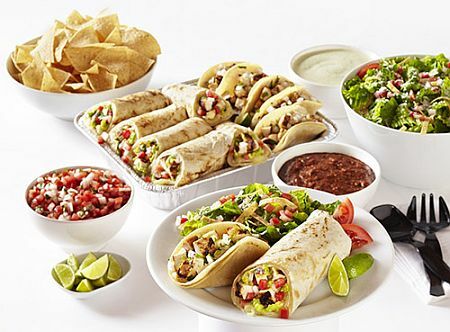 Each party pack comes with chips, 2 salsas and your choice of baja ensalada or baja rice and beans. Serves 5 people. (10) Baja (corn) or Americano (flour) style tacos. Your choice of chicken or pork carnitas. Steak is abailable for additional charge. Every party pack comes with chips, 2 salsas, and your choice of Baja ensalada or Baja rice and beans. The Mix & Match Party comes with chips, 2 salsas and your choice of Baja Ensalada or Baja rice and beans. Choose from Roja (spicy), Verde (mild), Salsa Baja (roasted, or Pico de Gallo.